Do you support a Border Fence? I support the following ideas for a fence.. It would be as cheap as a one time cost of $60,000,000,000 While the cost of illegal immigration cost this nation at least $100,000,000,000 a year not to mention the human cost in the way of suppressed wages, destroyed neighborhoods, and people who were victims of crimes committed by illegal immigrates.. It works in Israel on their borders with Lebanon, Syria, Jordan, Egypt. It works in Spain on their border with Morocco. It works in India on their borders with Bangladesh and Pakistan. It works in South Korea on their border with North Korea. It works in Mexico on their border with Guatemala. This issue affects many other issues like taxes, elections, education, crime, culture, ect and should be in the main political area.. Almost everything you said above is wrong. Illegal immigrants are a net benefit to the economy, contributing about $3 for every $1 they receive in public services. Illegal immigrants commit crime at lower rates than native-born citizens. If you think wages would significantly rise if all illegal immigrants disappeared, you are seriously deluded. Illegal immigrants mostly work in a few key economic sectors--e.g. agriculture, food service--where prevailing wage laws don't apply anyway. Border "fences" don't work in Israel, they don't work in Spain, they don't work in India, and they don't work on the Mexico-Guatemala border. Yes they make life for migrants in those areas much more dangerous and miserable. But they don't prevent people from crossing. The Korean Peninsula is not even a valid comparison. Not only is it the most heavily militarized area in the world, but fortifications on the North Korean side are designed to keep people in, not out. North Koreans who manage to cross over the DMZ into South Korea have their entire families either executed or sent to slave labor camps. It is not even close to the same situation as exists along the U.S.-Mexico border. And what about US-Mexico trade? If you really wanted to halt illegal immigration from Mexico, you would have to stop and search every single car, every single truck and every single container entering the U.S. Mexico. All that stopping and searching would cause U.S.-Mexico trade to grind to a halt, sucking billions of dollars out of both country's economies. Richard Nixon tried to seal the border back in 1969 as part of Operation Intercept, a program intended to halt marijuana smuggling. The move caused such economic havoc along the border, he had to call it off after just 20 days! People like you need to stop living in a fantasy world. Nations are not real; they just political fictions. The kind of border control you want will never happen, because it cannot happen. All this talk about "securing the border" is just a fantasy politicians peddle to get nativist votes. It is a scam, and you are falling for it. Build your big fence if you want but If i were a Mexican looking to enter the USA i certainly wouldnt subject myself to hiking across the desert to then scale a wall to then travel across more desert. I'd just cross the border by car, bus.boat, plane or train saying i'm going on vacation,going to see family or going for a long weekend to where-ever.then once in the USA i just stay, get some fake id and live happily ever after..
First make E-Verify the law of the land with massive fines for violators. Include landlords. Force as many illegals to self deport as possible. Building a fence may become unneeded. When illegals are caught strip them of all assets and a permanent ban from our country. You couldn't be more wrong in most everything you stated here. Terrorists aren't always going to come here by plane. The FBI Director has already stated that those from known terrorist countries have entered our country illegally right all with Mexicans, etc. and disappeared into our country. A physical barrier is a great deterrant and of great help to the Border Patrol to deter illegal immigration. It is an outrage that MS-13 gang members are being allowed to cross and not a thing done to detain them. They should at least detain and vet the ones coming before turning them loose on American neighborhoods. Its not like we are asking you to give 6 years of your life, giving up seeing your wife and kids, maybe giving up an hand, arm, foot, leg, or your life..
We are not asking you to pay a price anywhere near what our brave men and women have in the service and defense of this nation.. The people on this list would still be alive if the government has done its job. Christian Bautista, an illegal alien has been arrested for the brutal stabbing murder of 24-year-old Lauren Bump. Bump's body was found in a pool of blood on a trail in the O.P. Schnabel Park in San Antonio, Texas. Authorities believe that Bautista stabbed Ms. Bump to death. Bautista reportedly had several prior arrests dating back to 2005. He was recently released from a Huntsville prison after serving 6 years for aggravated robbery. 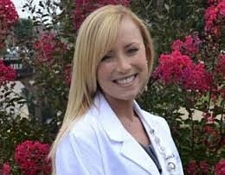 Ms. Bump was a graduate student at the Harding University's Physicians' Assistant program. Friends described her as a happy and loving person. OJJPAC note: Due to the Obama administration's failure to deport criminal illegal aliens, another American has been murdered. The Obama administration's outrageous response is to expend scarce federal resources to sue Arizona and other states attempting to protect their citizens like Lauren Bump. Our sympathies to the Bump family. Manuel de Jesus Guinea, 45, an alleged illegal alien from El Salvador, was arrested and charged with vehicular homicide and DUI in the death of 3-year-old Zane Thurber. Police claim that Guinea was driving at a high speed when he crashed his pickup truck into a car driven by Matt Holder, Zane's father. The crash killed the 3-year-old at the accident scene. Zane's father and 7-year-old brother survived the crash and were taken to the Intermountain Medical Center for treatment of their injuries. A witness to the crash held Guinea at the accident scene until police arrived. Surprisingly, although Guinea is in the U.S. illegally, he was given a valid driving privileges card by the state of Utah. (The state of Utah has been allowing illegal aliens driving privileges since 2005.) Although Utah gave Guinea a special license to drive, Guinea had no auto insurance. 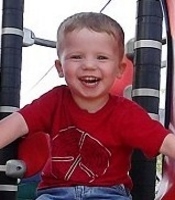 Now Zane's family is collecting donations to cover the child's funeral costs and other related expenses. ICE has placed an immigration hold on Guinea, who is currently in the Salt Lake County Jail. What is the leftist meme on gun confiscations, eh I mean control....'If I saves one life, why not do it?" The Fence Spends a Message! Those are good points, but the fence sends a message and right now we need to close the boarder to controlled points of entry and exit. If we had enforced our laws your first point would work very well and I am firm Believer in those programs. Plus Arizona SB1070 would of been effective to lessen the burden on Federal Agencies. Plus many folks like ourselves do not care if we offend these would be trespassers.